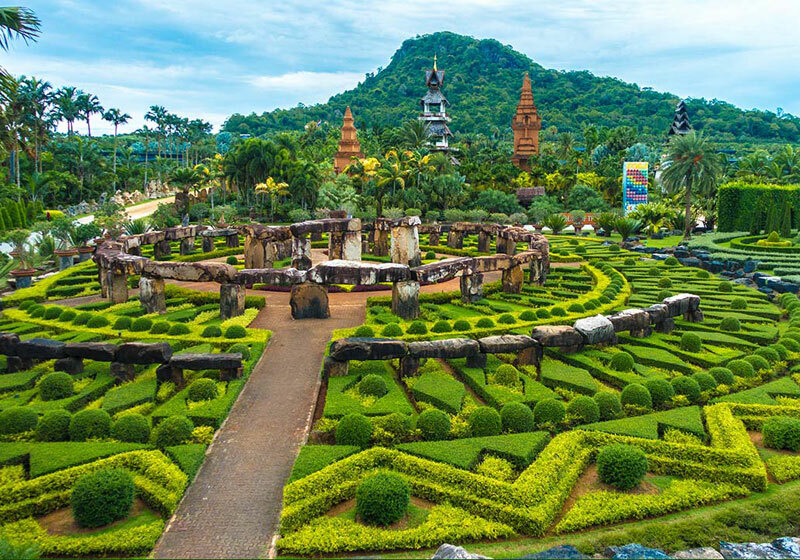 Nong Nooch Tropical Botanical Garden is a 500-acre (2.0 km2) botanical garden and tourist attraction at kilometer 163 on Sukhumvit Road in Chonburi Province, Thailand. It can be reached via bus, taxi or private land transportation. Its also a major scientific center dedicated to cycads, with its own Cycad Gene Bank. Short Description: Nongnooch garden is a very popular tourist attraction with an area of over 1, 700 rai welcoming tourists from all over the world. More than 5,000 people visit each day and the garden has also been recognised as one of the top ten most beautiful gardens in the world.